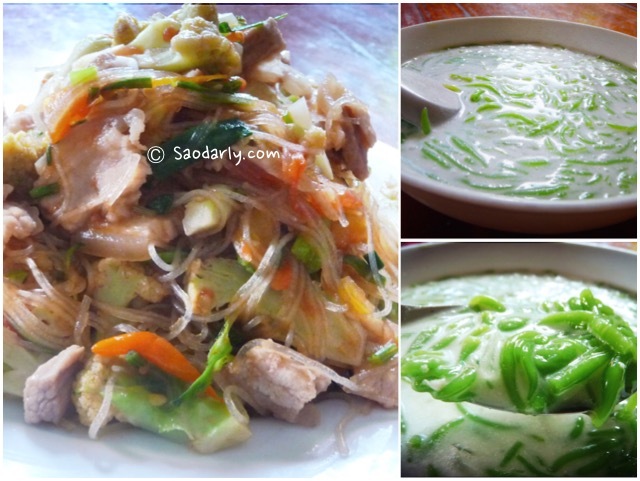 ( Nam Varn Khao Lod Chong; ນ້ຳຫວານເຂົ້າລອດຈອງ, ນ້ຳຫວານເຂົ້າລອດຊ່ອງ ) for lunch in Vientiane, Laos. 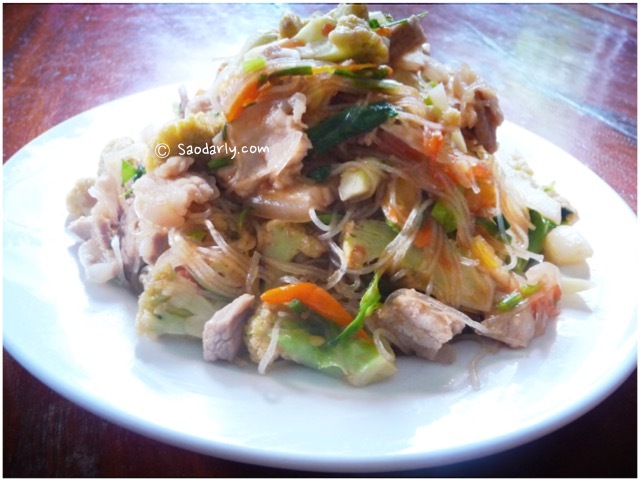 My aunt likes to make Fried Noodles, using any type of noodles that are available in Laos with beef, pork, or chicken. 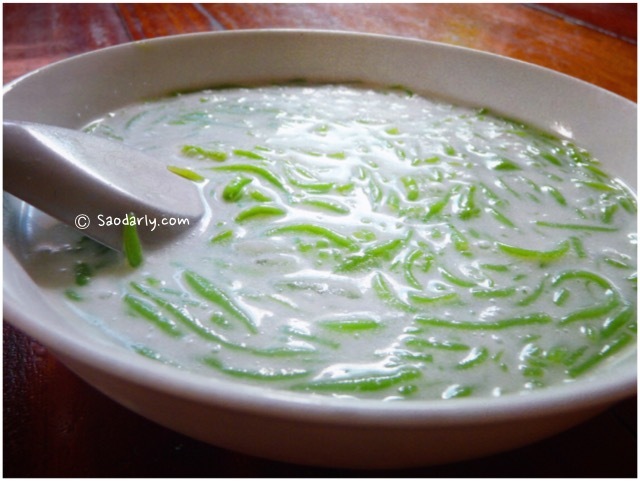 It is a bit of a heavy lunch with greasy noodles with pork and then washing the meal down with sweet Pandan Noodles with Coconut Milk as dessert. 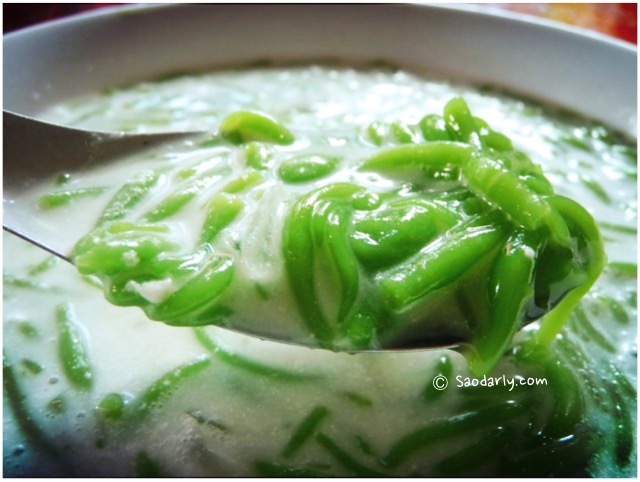 When the weather is warm, I could just eat Nam Varn Khao Lod Chong (Pandan Jelly wit Coconut Milk) with a little bit of crushed ice as lunch. Getting rid of the calories is another story.